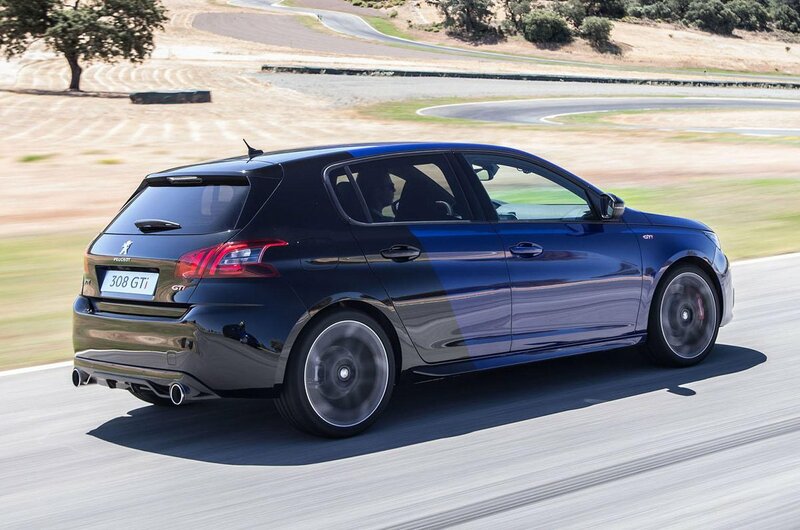 Peugeot 308 GTi Performance, Engine, Ride, Handling | What Car? 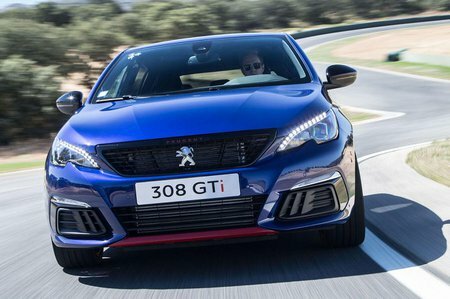 Given that most of its rivals have 2.0-litre turbocharged engines, you might think that the 308 GTi and its 1.6-litre motor would leave you feeling shortchanged. But despite its small displacement, it can kick every bit as hard (harder on paper, in fact) than the Golf GTI. Plant your right foot and the car pulls keenly throughout its rev range, delivering a progressive and strong flow of power. The relatively aggressive limited-slip differential also helps to get all that power to the road, although you do occasionally feel the steering wheel writhing in your hands when you accelerate hard. There's plenty of grip, too, although the Focus RS is even better in this area, and the 308 GTi isn't as poised or precise as the best hot hatches. Steering that's quick to respond but rather numb is largely to blame. Around town, the 308 GTi is agile and accurate enough, but as speeds increase, the front end feels increasingly darty. Quite often it can take multiple stabs at the wheel before you discover just how much lock you require for a quick corner. Combined with a vague manual gearbox, this makes things all a bit clumsy. 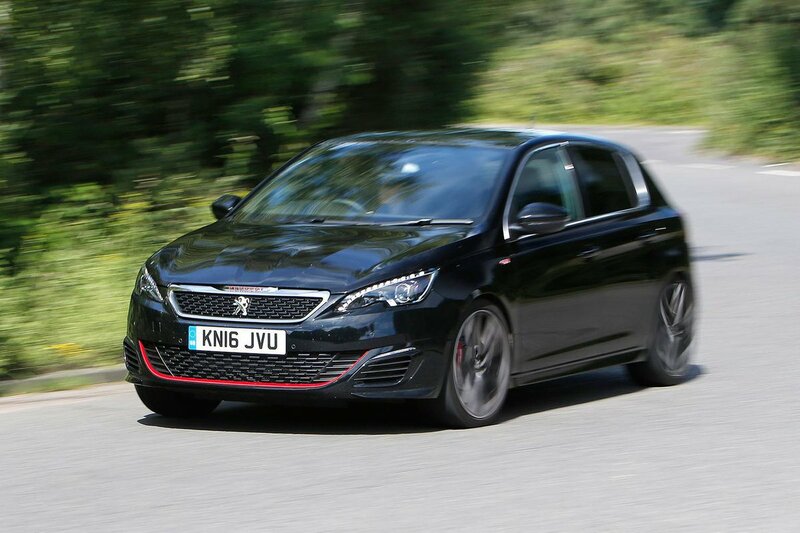 That said, despite not being the most involving hatch on the market, the 308 GTi is still startling quick point to point. And while the ride can be a bit firm, it’s still quite comfortable by class standards.